This skills program is part two of a piece on kids in nature and wilderness. Specifically, why they need it and how to get them into it. 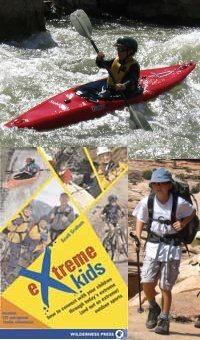 Steve continues an interview with Scott Graham, author of the book, Extreme Kids, How to Connect with Your Children Through Today's Extreme (and Not So Extreme) Outdoor Sports. Scott talks about how parents can get their kids into the wilderness. Richard Louv, author of the book, Last Child in the Woods, Saving our children from nature deficit disorder, gets in the last word on why this matters. See below for a bonus clip from the Scott Graham interview. Scott tells the story of a particularly exciting outing with his kids.